Today is May 15, the feast day of San Isidro Labrador for many places. Nangka, Marikina included. We don't really celebrate fiesta like others do, with lots of guests and food. We did eat something special earlier. 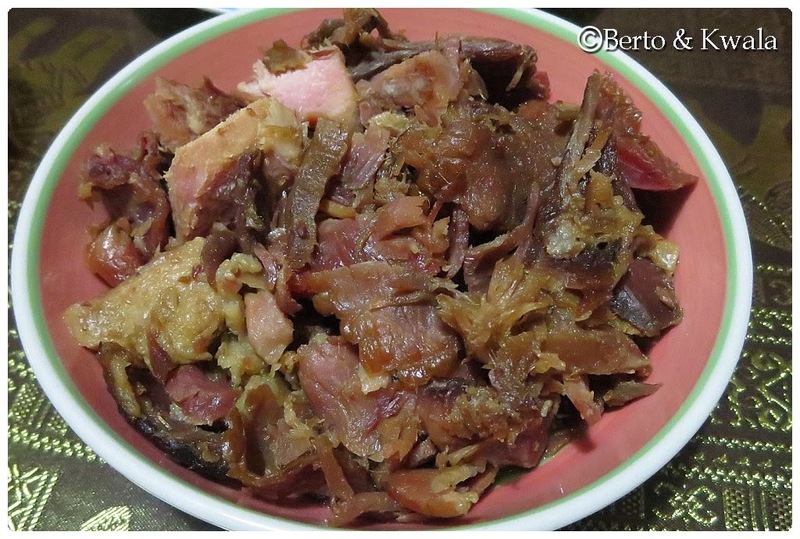 Excellente Scrap Chinese Ham, yummy Kikiam and steamed veggies. Scrap Chinese Ham is actually meat scraped off the sides of the chinese ham to form its shape. It looks like shredded meat but it tastes really good! 1 kilo costs P840, we bought 1/2 kilo of yummy goodness! 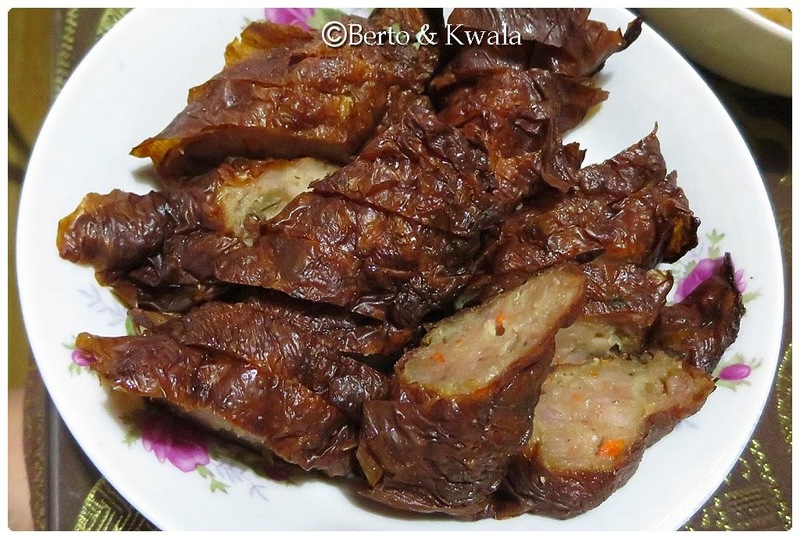 A big roll of chinese-style kikiam is sold for P90. It doesn't taste like the usual kikiam we can buy from the street vendors. This one is more tasty. Berto and I have been trying to cut back on our carbohydrates consumption. 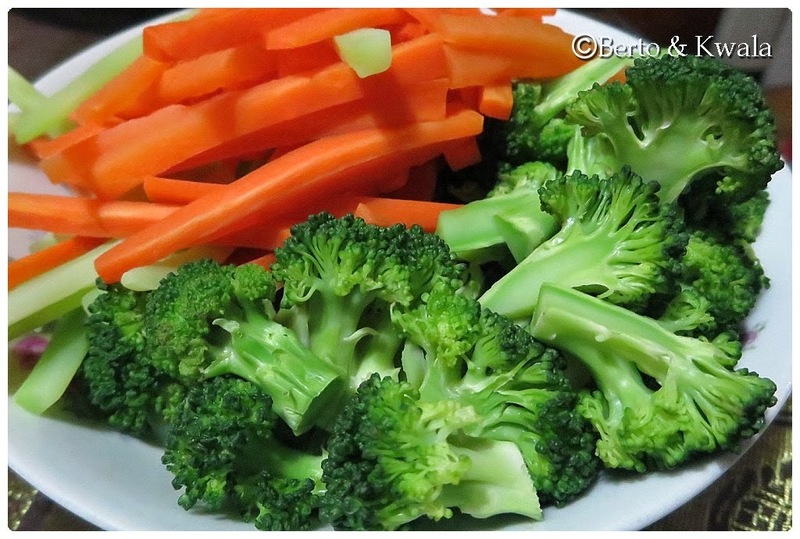 We try to stay away from rice and we munch on steamed veggies instead. We've gotten used to the taste, they are now staples on our table. Hello! Back Again... With Exciting News!